Hot damn those are cool. These are gonna be mine. All of them! these figures are sick dying to get all of them! 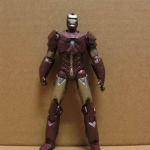 these are the best iron man toylines ever! Comparison shots with MU, please! Looks like standard MU-style articulation from what I can see. Very desire-able. 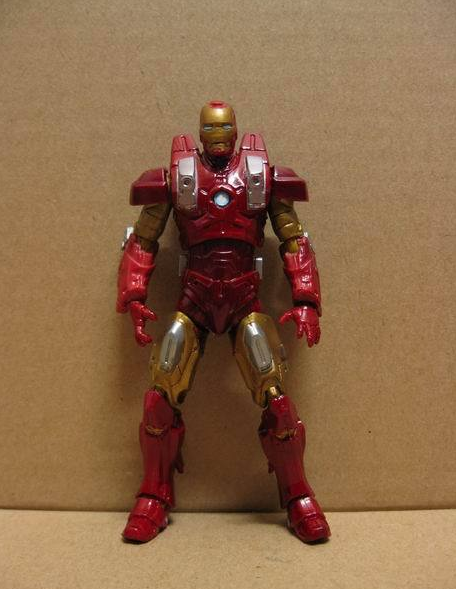 they are based off of similar articulation points of the MU figures from what Ive seen with exceptions of the knee joints which are more like the 6inch iron man line which have a separate knee section, and a slice joint under the ball hip joint. They are roughly MU sized, but with articulation that's mixed XMO and MU. They have the ball hips like XMO, but what seems like the swivel shoulders and double knees as seen in MU. The elbows I forget if are also double jointed or not. If so, it's essentially the 6'' line as seen last movie, but scaled down. Marvelous News had some fantastic pictures of a half dozen or so of these guys a week ago, but the pictures were taken down and I've not been able to track them down anywhere since. These figures have the same articulation as the XMO Origins figures:ball jointed head(might be limited movement), ball jointed shoulders, ankles, abs, hips and elbows, double jointed knees, and swivel wrists. The figures look good so far, I hope they don't look and feel cheap in person like the Wolverine figures did. 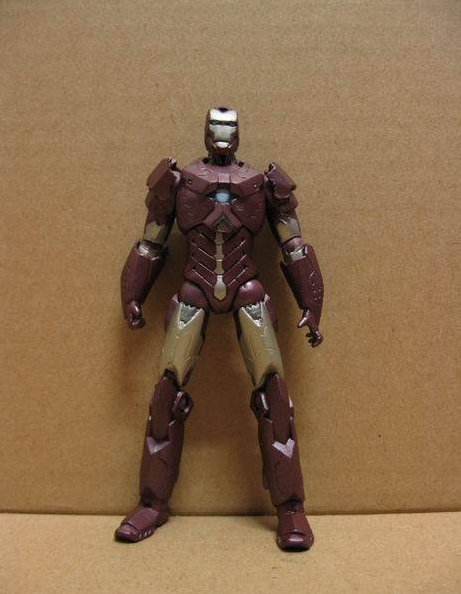 I prefer Marvel Universe style articulation/plastics. Looks like a bunch of winners. Can't wait. Very nice. I enjoyed the first movie line greatly, hopefully the new small scale design will cut the mustard for my pickyness. March just can't come fast enough. More pics of IM2 toys! At the above link are images from all the links ams posted plus more images from e_only's auctions too! Crossing fingers that the figures are of higher quality than the XMO Wolverine Origins figures, which felt cheap. The paint apps look good so far, and I like how the stands can hold cards! These look so great. I too hope for some nice, quality figures. After really taking time to hold both different styles, I agree that the XMO's plastics weren't as good. My only complaint is the scale, which is an old and tired argument. I'm really looking forward to these. The blisters on these Chinese auctions, e.g. 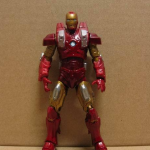 HASBRO Marvel Iron Man movie 2 Ironman Assault Drone - eBay (item 250545479499 end time Dec-15-09 21:03:39 PST) don't look legit. No spring-loaded missile launchers or armor cards. The paint might not be finished either. I'd be wary of some of those. Man I'm looking forward to this line. Those look awesome!